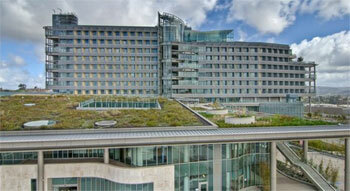 This sustainable, 11-story, 740,000-square-foot San Diego hospital complex was built using BIM and IPD. Read more about this "hospital of the future" onSustainableBusiness.com. Spread the word to college students: The 2012 SteelDay photo contest is open for entries! Images should “pictorially celebrate the visual experience of steel” and are due by September 22. You can find the details and requirements on Modern Steel. West Virginia’s Robert C. Byrd Green Bank Telescope is made up of more than 13,000 steel members and joints! Modern Steel has a photo and details of the 17-million-pound structure. The new American High-Performance Buildings Coalition will promote development of sustainable building standards. "The coalition will provide critical experience and expertise to the development of green building standards, and will support performance-based building codes, standards and rating systems developed in conformance with the American National Standards Institute." Structural Engineer has the story. AISC Steel Sculptures are valuable tools in education. Learn more about them in our newest blog post!